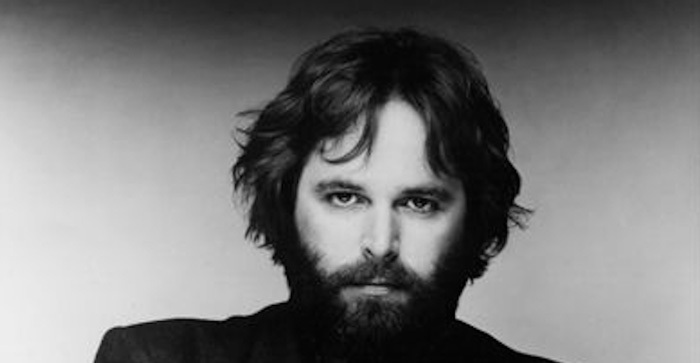 Carl Wilson was an American rock and roll singer and musician best known as a founding member, lead guitarist and occasional lead vocalist of The Beach Boys. The youngest of the three Wilson brothers, his voice possessed a hauntingly beautiful tone and muscular grace. Wilson was known for being the mediator in the band when creative and personal tensions were to arise between his bandmates, particularly Brian Wilson and Mike Love. He also released two solo albums in the early ’80s. Born “Carl Dean Wilson” in Hawthorne, California in 1946, he was the youngest son of Audree Neva Korthof and Murry Gage Wilson. He belonged to a poor but musical family and, from his early teens, practiced harmony vocals with his older brother, Brian, in the family music room. Carl displayed remarkable singing abilities from a very young age. The earliest lineup of Beach Boys included Carl Wilson, his brothers Brian and Dennis, and his older cousin Mike Love. Formed in 1961, the group were an immediate success under the supervision of father Murry Wilson, after carving a successful image based on the California surfing culture. Carl’s first role in the Beach Boys consisted of lead guitar and backing vocals responsibilities. He developed as a singer through the band’s early recordings and would later go on to contribute lead vocals on some of the group’s biggest hits, such as “Good Vibrations” and “God Only Knows”. Unlike other band members, Carl actually played musical instruments alongside the “hired” studio musicians during the height of the critical and commercial success of the Beach Boys in the mid 1960s. When Brian withdrew from the group, Carl took control of the studio sessions and handled both the creative and production responsibilities of the group. He also supervised the live performances and became the band leader and musical director of the Beach Boys from 1965 until his unfortunate death from lung cancer in 1998. Carl was aged 51 at the time of his death. He was buried at Westwood Village Memorial Park Cemetery in Los Angeles. Carl Wilson earned several awards and accolades as a member of the Beach Boys. A few of them include a Grammy Lifetime Achievement Award (2001), a star on the Hollywood Walk of Fame (1980); and inductions into the Rock and Roll Hall of Fame (1988), and the Vocal Group Hall of Fame (1998). Carl Wilson was married twice. In 1966, he married Annie Hinsche, with whom he had two children. The couple divorced in 1978. Wilson married his second wife, Dean Martin’s daughter Gina, in Las Vegas in 1987. Their marriage lasted until Wilson’s death in 1988.